Archaeologists have uncovered human remains of four of the earliest leaders of the English colony that would become America, buried for more than 400 years near the altar of what was America's first Protestant church in Jamestown, Virginia. 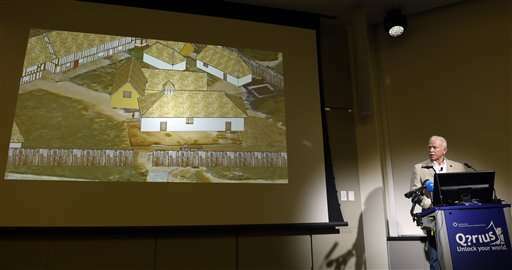 The four burial sites were uncovered in the earthen floor of what was Jamestown's historic Anglican church from 1608, a team of scientists and historians announced Tuesday. The site is the same church where Pocahontas famously married Englishman John Rolfe, leading to peace between the Powhatan Indians and colonists at the first permanent English settlement in America. Beyond the human remains, archaeologists also found artifacts buried with the colonial leaders—including a mysterious Catholic container for holy relics found in the Protestant church. The Jamestown Rediscovery archaeology team revealed its discovery at the Smithsonian's National Museum of Natural History. The museum is helping to study and identify those buried in the church. 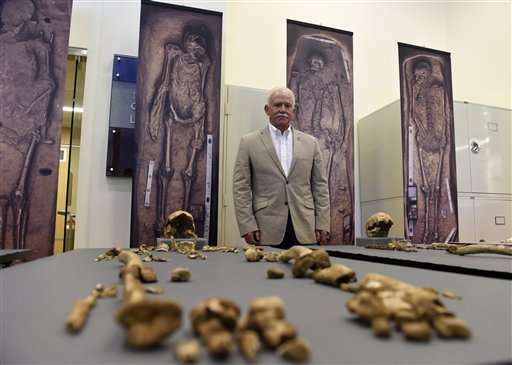 The burials were first uncovered in November 2013, but the scientific team wanted to trace and identify its findings with some certainty before announcing the discovery. Archaeologists have been studying the site since 1994 when the original James Fort—long thought to be lost and submerged in the James River—was rediscovered. The church site was mostly untouched and had not been excavated for more than a century until it was found in 2010. The team identified the remains of the Rev. Robert Hunt, Jamestown's first Anglican minister who was known as a peacemaker between rival leaders; Capt. Gabriel Archer, a nemesis of one-time colony leader John Smith; Sir Ferdinando Wainman, likely the first knight buried in America; and Capt. William West, who died in a fight with the Powhatan Indians. The three other men likely died after brief illnesses. They were buried between 1608 and 1610. "What we have discovered here in the earliest English church in America are four of the first leaders of America," said historian James Horn who is president of the Jamestown Rediscovery Foundation. "There's nothing like it anywhere else in this country." While the individuals buried at Jamestown were not royalty, they were considered pivotal figures in the early colony. Horn compared the find to the 2012 discovery of the lost grave of King Richard III in England. 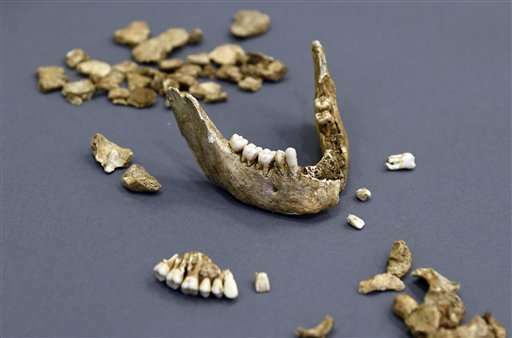 Two years ago, the Jamestown team also found evidence of survival cannibalism in the colony. Perhaps just as interesting as the newly discovered human remains are some of the artifacts buried with the bodies. Burial items were rare in English culture at the time, archaeologists said. In the remnants of Archer's coffin, archaeologists found a captain's leading staff as a symbol of Archer's military status. Historical records indicate Archer helped lead some of the earliest expeditions to Jamestown. He died at the age of 34 during a six-month period known as the "starving time" when many perished due to disease, starvation and battles with Indians. 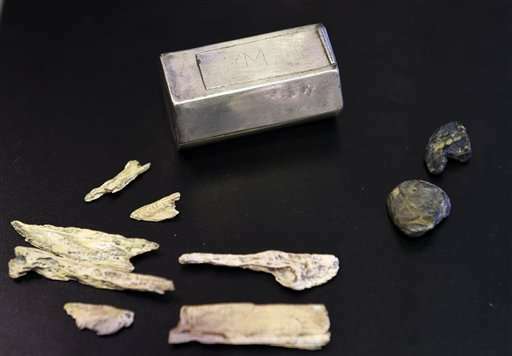 Mysteriously, a small silver box resting atop Archer's coffin turns out likely to be a Catholic reliquary containing bone fragments and a container for holy water. Archer's parents were Catholic in Protestant England, which became illegal. So the discovery raises the question of whether Archer was perhaps part of a secret Catholic cell—or even a Catholic spy on behalf of the Spanish, Horn said. 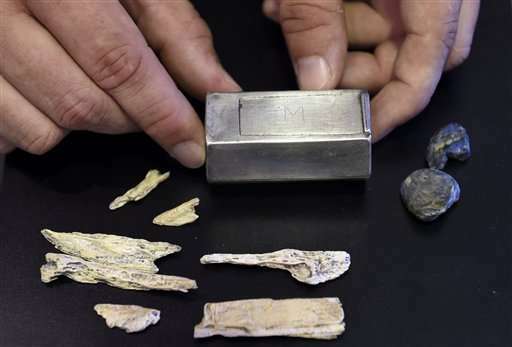 Catholic relics have been found in the Jamestown archaeological site before, but the placement of this box seems particularly symbolic, the historians said. They used CT scans to see inside the sealed box without damaging it—gaining a view that wouldn't have been possible 10 years ago. An alternative theory holds that the religious piece was simply repurposed for the Anglican church as a holdover from Catholic tradition as England waffled between Catholic and Protestant rule. Historians said more research must be done. 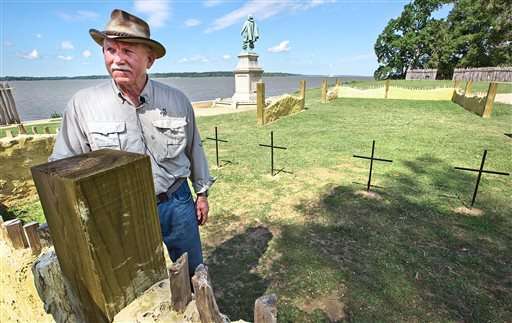 "It was a real kind of ah-ha moment for a lot of us," said William Kelso, Jamestown's director of archaeology. "It was oh, religion was a big deal here, and that's often overlooked. Everyone thinks that people came to Jamestown to find gold and go home and live happily ever after." But the Church of England had a strong role in the creation of an English America with the Protestant church acting as a bulwark against Spain's Catholic colonies to the south, Horn said. In West's burial plot, archaeologists found remnants of the military leader's silver-edged sash in a block of soil. The silk material was too delicate to remove from the dirt, so archaeologists removed an entire block of dirt for preservation. 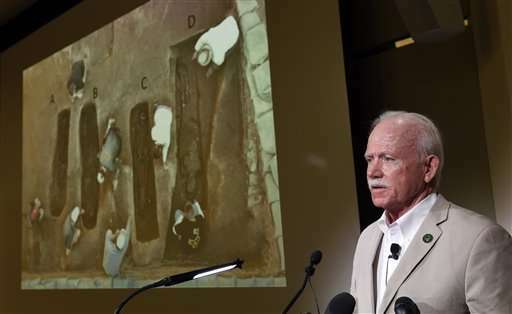 Archaeologists will continue searching the church site and expect to eventually find the burial of Sir Thomas West, the early governor of Virginia who led a rescue mission to save Jamestown when the colony was collapsing, Horn said. West, also known as Lord De La Warr, was the namesake of the Delaware colony. Wainman and William West were both related to the powerful baron. Of the newly found historical figures, only Wainman and Hunt had children. Those family lines could allow for DNA comparisons after more genealogical research. Researchers first want to learn more about those related to Lord De La Warr. 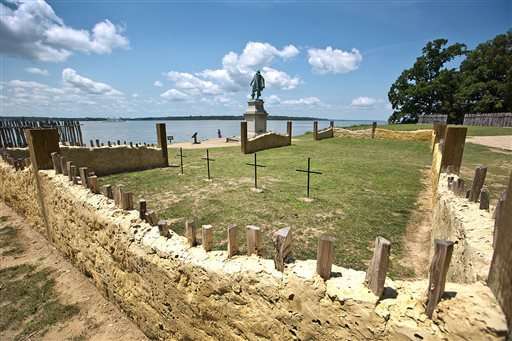 Artifacts from the burials will go on display within weeks at Historic Jamestowne. The site also plans to memorialize the men and will keep their bones in an accessible place for preservation and future study. The Smithsonian created a 3D scan of the excavation site, bones and artifacts to give people a look at the discovery online. The team is more than 90 percent certain of the colonists' identities, Kelso said. Still they will work to complete more testing and potentially DNA analysis. One sample is in a DNA laboratory now at Harvard to determine whether any genetic information has been preserved. The archaeology team said the discovery is like a riddle they must figure out over time. Records from the time period are limited. 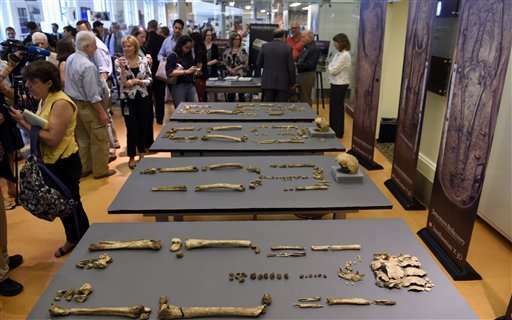 "The things that we look at and can read from the bones are simply details that you're not going to find in the history books," said Douglas Owsley, a forensic anthropologist at the Smithsonian. "These are men that you might not know their name. But these are men that were critical to who we are in terms of America today."